National legislation in Morocco should be amended to restricting use of firearms by law enforcement officials to situations where individuals pose an imminent threat of death or serious injury or a proximate and grave threat to life. Article 29 guarantees the freedoms of reunion, of assembly, and of peaceful demonstration. "The law establishes the conditions of the exercise of these freedoms." The Moroccan National Police (Sûreté nationale; Arabic: الأمن الوطني‎ Al-'Amn al-Waṭaniy) under the Ministry of Interior and the Gendarmerie Nationale under the Ministry of Defence are the main law enforcement agencies in Morocco. In July 2018, the General Directorate of National Security (DGSN) issued an instruction requiring police officers to carry their service weapons while on duty and in uniform. 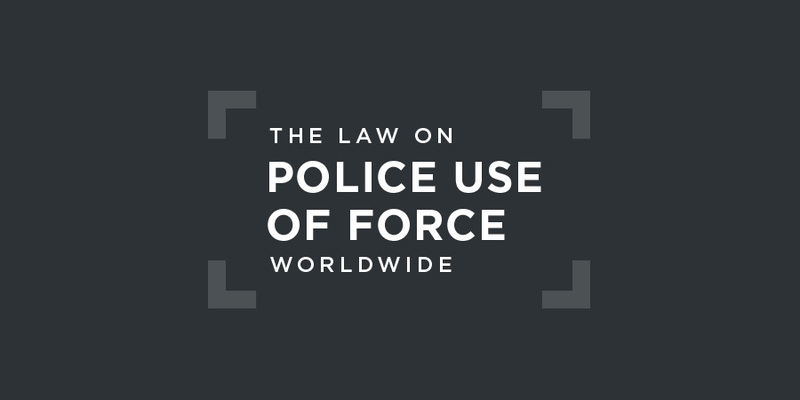 There are reports of recent police use of firearms that would violate international law. When the persons called on to stop by repeated calls of "halte gendarmerie", made aloud, seek to escape their guard or their investigations, can not be constrained to stop only by the use of weapons and whose characteristic flight is preceded or accompanied by general or particular elements which establish or cause to be presumed their almost certain participation in a crime or serious offence. There is no independent civilian police oversight body in Morocco. in Laâyoune, Western Sahara, torture and ill-treatment had been inflicted during arrest, at police stations and at the prison, and that excessive use of force was used during demonstrations for the independence of Western Sahara. There is no regional human rights court with jurisdiction over police use of force in Morocco. According to the authorities, 38 members of law enforcement agencies were prosecuted in 2015 for acts of torture (24 police officers, 8 prison officers, 2 gendarmes, 2 law enforcement officials, and 3 soldiers).